The Choralaires have many times had the good fortune of being invited to sing The National Anthem at Comerica Park. Here's a look at our performance from July 27th of 2018. 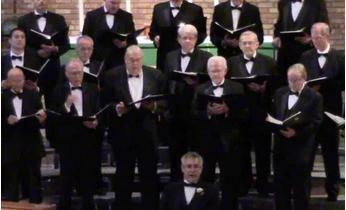 Special thanks to the men of the St. John, Rochester Male Chorus for joining us! 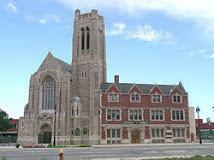 Our annual Christmas Concert is held at the always festive Historic Trinity Lutheran Church in Detroit. Here's a selection from our 2015 program. Dwayne Dutcher is the soloist. At our Spring Concert we've been known to sneak a patriotic song or two into our program. Here's a favorite from May 17, 2014. From the Incarnate Word Christmas Concert, December 20, 2013. With the North Oakland Chamber Orchestra. Another from the 2013 venue. From October, 2013. At Our Shepherd Lutheran Church, Birmingham MI. Thanks to Timothy Garthe for this post! Whenever Choralaires gather, there's bound to be singing on the menu. Here's a more candid moment from a gathering on March 4 of 2012. That's former director Erv Aufdemberge leading the rabble.